Blogs. Twitter. Facebook. Technologies once thought to be solely for entertainment purposes and lacking any relevance to the workforce are now at the forefront of business enablement. With more users blurring the lines between personal and business use of social media, the risk factor to organizations is increasing. 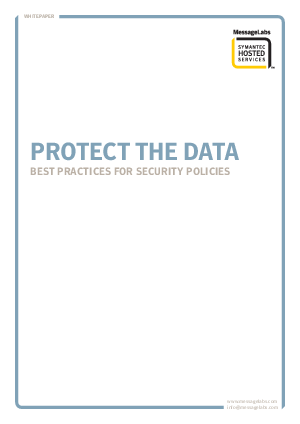 This white paper gives best practices for creating security policies and includes a set of recommended policy components.